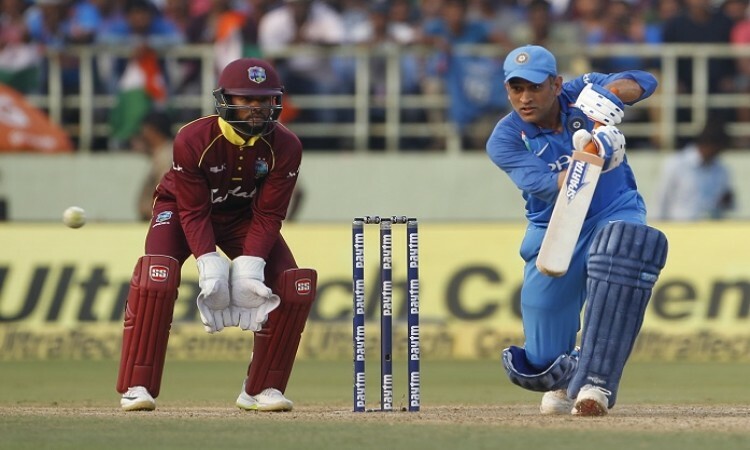 Mumbai, Oct 29 (CRICKETNMORE): Mahendra Singh Dhoni's poor run continued in the fourth One-Day International (ODI) against the West Indies on Monday as the former skipper fell one run short of reaching 10,000 ODI runs for India. Dhoni has accumulated a total of 10,173 runs in the 50-over format however, the record also contains the 174 runs which he smashed against the Africa XI, while representing the Asia XI in a three-match rubber in 2007. Thus, Dhoni has 9,999 runs while representing India and after managing a meagre 23 against the Windies at the Brabourne Stadium here, the 37-year-old missed the landmark by just a single run. In 2018, the Ranchi stumper has scored just 252 runs in 12 innings, at a below par average of just over 25 along with a strike-rate of 68.10. His continuous poor form had also resulted in him being axed from both the Twenty20 series against the West Indies at home and in Australia.